There’s not a kitchen sink of features, but with sounds like these, who needs them? 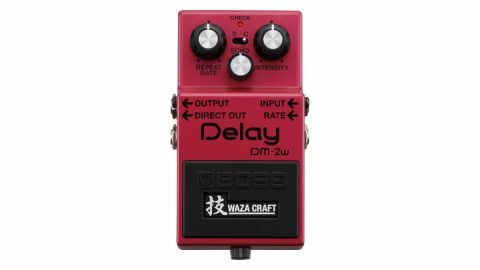 The DM-2 is the gold standard for bucket-brigade delay pedals, and this updated Waza Craft interpretation recreates its classic tone to a T.
Warm, quirky and increasingly unpredictable as you move the repeat rate knob to the right, you can get everything from simple slapback delays to auto-oscillation and other-worldly effects. There’s a direct out as well as the ability to switch from ‘standard’ mode, or the stock reissue, into ‘custom’ mode, which sees the delay times expanded out to 800ms. Finally, there’s an expression input for rate. As on the original, the repeats sound simply gorgeous.